My mother’s brother Bill died before she was even married, so I didn’t know him. 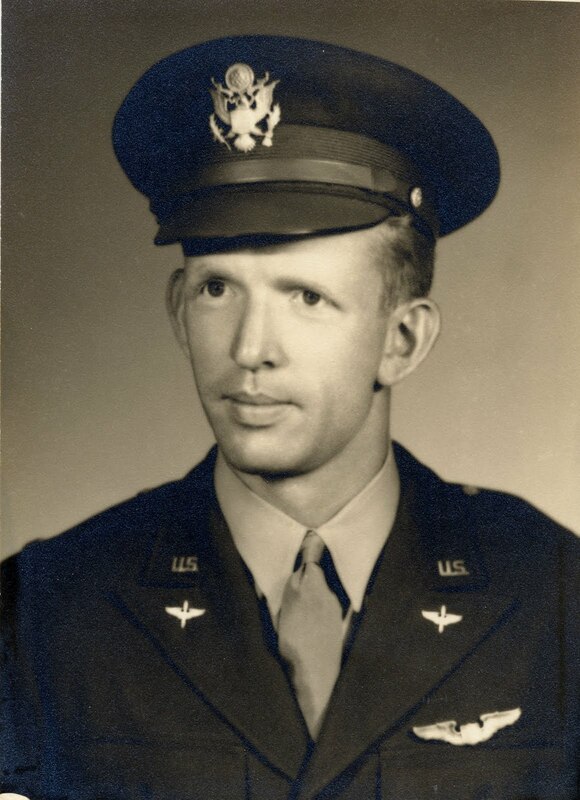 He was a pilot who died in a plane crash during wartime, after having flown many successful bombing missions over Europe. Many “yes” came up as I read this…thank you. beautiful that we can still pray now for those before… Memory Eternal. this has been on my mind a lot. The 40th day for the death of my 2 cousins just happened this weekend. May your uncle's memory be eternal! these are good words. thank you. This idea of keeping people in your heart, instead of your mind … it sounds pretty subjective at first, but I think it's true, and what a lovely way to express this act. I think that if people did this in their marriages, we would have many more intact families. We often take up an offense and leave it stewing, too prideful to return that person to our hearts' joy, instead of our minds' condemnation. ffc, I love that line of yours, “our hearts’ joy, instead of our minds’ condemnation.” That sums it all up so concisely. I had to go look up the Scripture that this reminded me of…Paul's letter to the Philippians 1:1-11 embodies this. Thank you. I value what you wrote about holding the living and departed in one's heart in prayer, and not in the mind. My grandfather was a wonderful storyteller, and he was interested in our family's genealogy, so we were blessed to know about many generations of our family, at least my father's side of it. Doubly blessed because my grandfather recorded a good bit of it, both in writing and on audiotapes. I have conducted oral histories with my mother, my mother-in-law, and thankfully my father-in-law six months before he died. I think your children will appreciate you telling the stories you know, and maybe even the stories you don't know, but wish you did, like that of your Uncle Bill's. A very nice memorial to your uncle. Thank you for the reference to Scripture, reminding me to hold in love the people who hurt or disappoint me. It is easy to see them in the flesh, human and imperfect, and react in the flesh, instead of loving them as Christ did. Thank you for stopping by and commenting on my blog. I have just spent a few minutes perusing yours and am finding it very interesting. I shall visit again. Lovely thoughtful post, as always. Our family was lucky not to lose anyone during WWII even though my dad was part of the D-day invasion. I wouldn't say he came through unscathed though. As you can imagine, he had some pretty deep emotional scars from all the horrors he witnessed as he continued through Europe on to Hitler's Eagles Nest and to the liberation of concentration camps. I love what you said about holding people in our hearts rather than in our minds — I'm going to use that wise advice as much as I can – so good. Thanks so much for sharing! Thank-you for sharing a little bit of family history. Another very good and thought filled read. P was puzzled at the name Uncle Bill, and was glad to learn more about him. I really like the idea of placing the family photos on the wall, a conversation starter for friends and family…a way to honor and let their legacies live on. I am thrilled at your site. “If God so loved us, we must love one another… ” gathering and laboring to bring my siblings and cousins the knowledge of how God kept a family from its beginnings on the Massachusetts Bay till today is a very humbling process and though not widely acclaimed, it warms the heart to belong to a Godly heritage. Since both of my parents died, I have experienced many regrets, that I do not recall the many interesting stories/facts they told me about our family’s past–on both sides. I even look at the voluminous photos they gave me, some of which they explained to me at the time, but most of which I have no notes about–and I feel a kind of anguish. But I have to let it go. I just–didn’t–get it all. Now that I’m old enough that I care–it IS too late–but as you say, perhaps only, in this life. My sister and I are talking often, trying to piece together our own memories, and that is quite helpful. About heart and mind–I’ve thought a lot. I’m not so sure they are so disconnected. But–that’s another issue!